Music is such an important thread in the fabric of life. Songs can tell the history of a community, the feelings of the heart, the important cultural rules or just make us feel good. I love being able to crank up some good music early Saturday AM and clean. Singing, dancing and scrubbing- it's cardio, chores and utopia in one. Okay, maybe scrubbing isn't utopian but man, when I am done- I feel GREAT. I have a iPod dock in my bedroom but it's not very loud when I play from it. I have a nice set of speakers in my living room but I can only use an auxiliary cable and it's kind of a pain to jack in my phone and make sure it's charging at the same time. 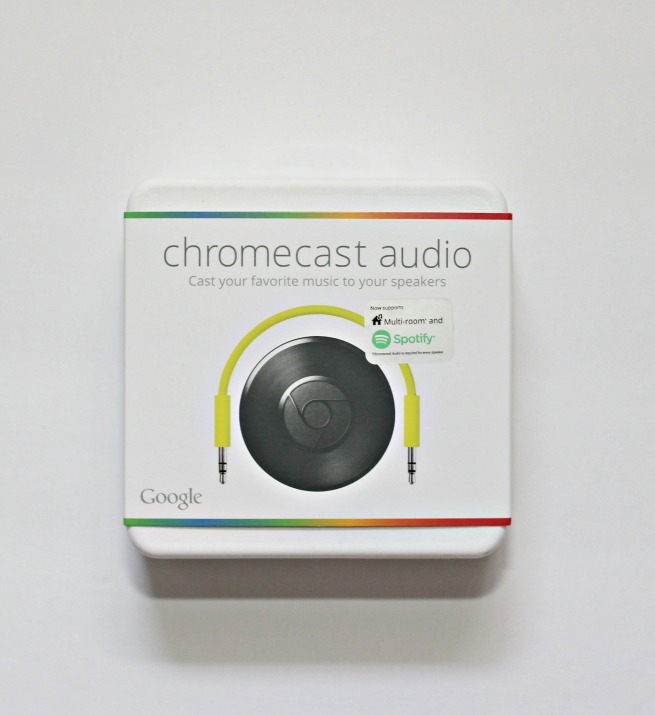 However, there's a solution- Chromecast Audio. 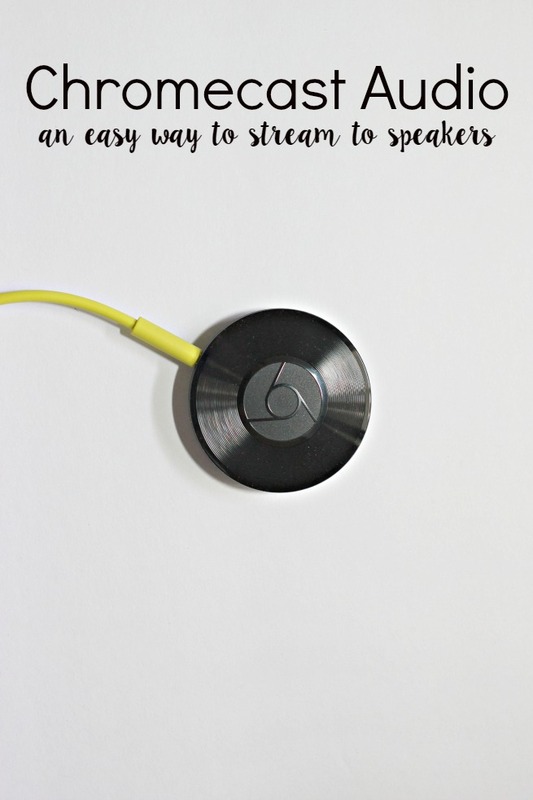 This little device is a powerhouse and makes streaming a breeze to ANY speaker (new or old. Please don't act like you still don't have your large floor speakers from 1980s) from a laptop, tablet or phone! Set up is so easy. Plug into power & speakers. And cast from your device over wifi (no Bluetooth!). I had ZERO problem getting set up. It was such a breeze! The quality of audio is amazing thanks to streaming via wifi versus Bluetooth. Crystal clear! Upon setting up, you have the ability to stream from tons of apps for music and podcasts like Pandora, Spotify, etc. 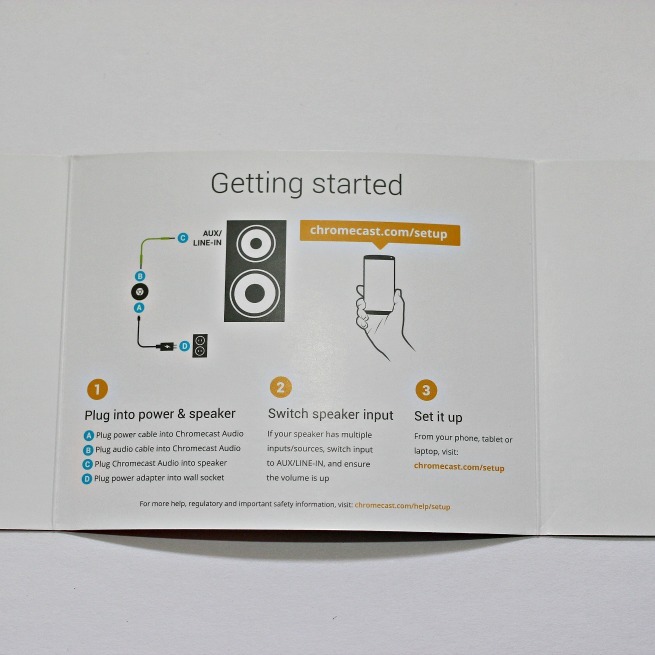 The ability to stream music to multiple rooms at the same time on multiple speakers thanks to Multi-Room. For only $35, Chromecast Audio provides a TON of bang for the buck! Do you use any music streaming devices? 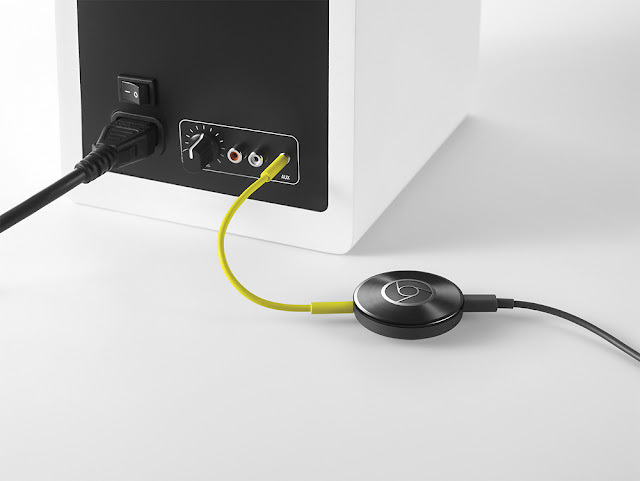 Have you tried Chromecast Audio yet?